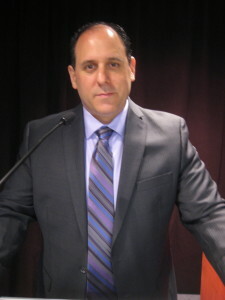 Dave Hoffman produces investor meetings for institutions and wealth managers. 12 years of meeting clients in person and bringing them together in content-driven executive forms has allowed Dave to connect hundreds of asset allocators with managers who help them maximize returns in a risk conscious manner. Well-researched agendas assure a quality mix of investors who are currently looking to improve their portfolios. This allows managers to focus communicating their expertise to a highly interested group of asset allocators who are able to share their return needs in an interactive setting. Agendas rich in content. Multi-billion dollar portfolios. On site introductions. Launching the Institutional real estate division for an Inc. 500 company, with events throughout North America and Europe. These events accounted for a majority of the company’s international growth in recent years. Running high profile events like the Global Indexing & ETFs Conference in Scottsdale (formerly the Super Bowl of Indexing) and the Conference Board’s Summit on Sustainability in New York. International highlights include running the World Series of Investment Management in Rome and launching Private Equity World Brazil in Sao Paolo. 1000+ investors at events in Chicago, New York, Toronto, Minneapolis, Austin, Scottsdale, San Francisco, Lake Tahoe, Newport RI, and West Palm Beach. In addition, Dave has produced educational events for pharmaceutical, energy, and other industries. 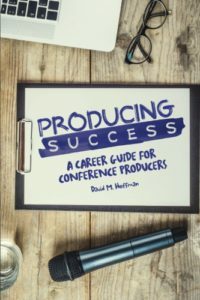 He is the author of Producing Success: A Career Guide for Conference Producers the first and only book of its kind.